I believe that email is with us for a while longer. 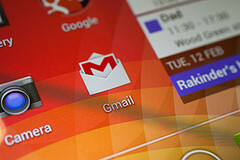 Despite the attempts of well meaning app makers and social networks, email is not dead. In fact, I get a ton of email from those same social networks that were going to kill email off. Email, like it or not, is the one tool that pretty much everyone has, everyone uses and everyone checks on a daily basis, so business use of email isn’t going anywhere soon as an external communication tool. 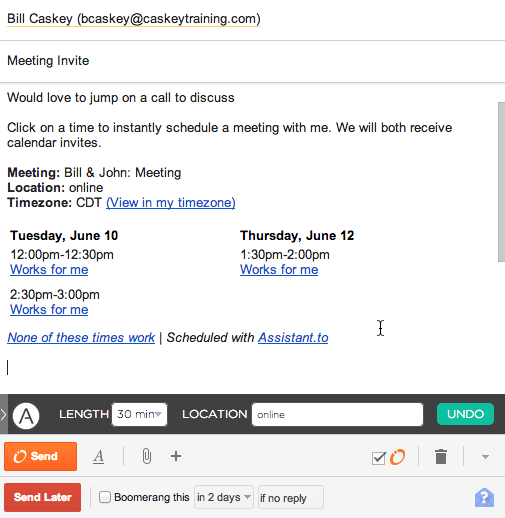 I say external, because I believe some tools like Basecamp, Yammer and Quip do allow you to replace some internal email and work better in teams that need to collaborate, discuss and track frequent iterations of conversations. The key to making email flow externally is to find tools that make it smarter, faster and better with the way you work. Below are five such tools that I’ve worked into my email toolkit. Contactualy – I suppose you could call Contactually a light CRM tool, but it really shines when it comes to managing relationships that happen via email. It features lots of email functionality such as scheduled sending and open tracking but it also helps you prioritize your most important relationships and put them in “buckets” that prompt you to stay in touch if you have not communicated with someone within a designated amount of time. Rapportive – This is a pretty simple browser plugin that keeps contact and social details from anyone that sends you an email in the sidebar of your email reading pane. That way when you get an email from someone your know or don’t know, you’ve got some pretty handy information at your fingertips. HubSpot Sales – This email addon from Hubspot does one thing very well – it tracks your emails and lets you know when someone has opened it. To me this helps in a couple areas – you know someone got your email and you know when they might be most receptive to a follow-up nudge or question. Assitant.to – If you’re like me you’ve wasted a lot of time going back and forth with people trying to schedule meetings and phone calls. I don’t like those scheduling apps that make people go to a page, pick a time and add all their contact info. Assistint.to taps your calendar and allows you to send someone up to 3 times – they just pick one and it automatically creates calendar invites for both parties. Boomerang – This add on allows you to get reminders when you want to resurface an email thread or if someone hasn’t responded in a set number of days. You can also write a bunch of emails in the evening and have them scheduled to send around coffee break time the next day. I have all five of these services connected to my gmail account and rely on parts of each for my email workflow. I currently use Google Apps for Gmail and Chrome browser as each of these integrates with Gmail and all have Chrome support and extensions.